Persian Gulf Pro League 1395/96 comes back, after a 28-days break: in the meanwhile Team Melli played two 2018 FIFA World Cup qualification matches, beating 2-0 Qatar and drawing without goals in China. Week 5 was full of ties, except for the games scheduled on Friday both ended with victories. FC Mashhad surprised home supporters at Bonyan Diesel stadium and obtained 3 points. In the first half Luciano “Chimba” Pereira tried twice to beat Nasseri, but goalkeeper was very responsive to Brazilian shot and header. Gostaresh Foolad were again dangerous with Khalatbari and Magno Batista, but their efforts were not rewarded: Ayoub Kalantari sent a long pass to Seifollahi, who scored a lob goal in the injury time. The match between Oil clubs (in Farsi “naft” means oil) was won by Ali Daei’s guys, although guest team goalkeeper Hassan Houri made many spectacular saves on Naft Tehran attacks: the Abadani captain could not prevent home advantage when a perfect free kick by Iman Mob’Ali assisted Croatian defender Igor Prahic’s header. Sanat Naft Abadan equalized with Hakim Nassari, who exploited a defensive mistake; but Mohammad Ghazi scored a very nice goal, rotating 270° ahead of three opponents and shooting low. Dangerous atmosphere in Tabriz, on the pitch and on the bleachers: after the final whistle, Tractorsazi hooligans launched rocks and bottles on Persepolis players and staff: on 24 August Tabrizi hooligans did the same during a friendly game with Paykan, then suspended. A delegate from Iranian Football Federation pressed charges against head of Tractor supporters, and home team coach Amir Ghalenoei argued with a soldier. About the match. Persepolis avoided the defeat, especially thanks to goalkeeper Alireza Beiranvand, who saved Iranpourian header (7′) and twice Soroush Rafiei‘s attempts (33′ header, 69’ close shot). On the other side Mehdi Taremi missed the opportunity to score a heavy goal when at 5′ he ran past Mohammadi and Akhbari, but a tackle by Shafiei blocked his attempt. With this goalless draw, Persepolis and Tractorsazi remain – respectively – on top and 2nd. Sepahan were not able to win against Paykan, risking a home defeat, even though hitting twice the crossbar: with Malian defender Moussa Coulibaly after 15 minutes of game, and Alimohammadi at 55′. Paykan coach Majid Jalali should be proud about his captain, Mohammad Sadegh Barani, who stole the ball and assisted Siamak Nemati’s left-footed goal, and then was himself close to score. In the second half Abdollah Veisi chose Hossein Papi to replace Fazeli, and the winger thanked his coach scoring six minutes later with a powerful shot. One point shared by Padideh and Esteghlal Khuzestan as both clubs did not score. Best attempts came by Mashhadi team: after a corner kick, at 34′ captain Reza Nasehi quickly sent the ball on the right goalpost; at 56′ Moein Abbasian‘s left-footed free kick hit the crossbar. Morteza Tabrizi is in good shape, after taking part in Team Melli training camp in Italy: the 25-years-old attacking midfielder scored Zob Ahan leading just before halftime. Short after squads came back to the pitch, Divsalar received his second yellow card, leaving 10-men Saba Qom; but Samad Marfavi added a forward, subbing in Karim Eslami instead of Abtahi. Zob Ahan goalkeeper Mazaheri had to face a new offensive tactic, and saved a close header by Hassanzadeh at 73′: two minutes later he could not prevent his equalizer, dribbling Nejad Mehdi and Mohammadzadeh. Four goals, two scored by each side, one point shared by Foolad Khuzestan and Saipa Karaj. Very good performance by Alessandro Felipe Oltramari, who maintained a clean sheet until he got injured, with Saipa leading thanks to Hosseinzadeh’s goal. The Brazilian goalie was replaced by Fallahzadeh, that made vital saves despite a double by Abdollah Nasseri: the second goal at 92′ seemed to end the match, but referee Salehi had ordered 9-minutes injury time! Five minutes later youngster Mehdi Torabi (born 1994) took the ball on the right, dribbling two Foolad defenders, and his shot secured the draw at Ghadir stadium. On Sunday the last match of the week 5 was played at Azadi Stadium. Esteghlal Tehran took the advantage after seven minutes: Khosro Heydari from the right crossed for Kaveh Rezaei, whose first header was deflected by Manu Fernandez on the post, and the forward headed the ball into the net. 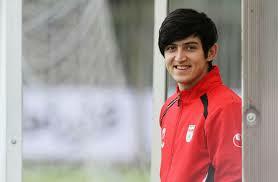 The Spanish goalkeeper saved two lob shots, both attempted by Farshid Esmaeili. Mashinsazi frightened the Blues at 35′, because of Payam Sadeghian‘s shot from outside the penalty area, that was rejected by the right goalpost. Even if Esteghlal were continuously attacking with Ghafouri and Heydari, they did not succeed, and Kakhaber Kakashvili assisted Saman Nariman Jahan’s header, that beat Rahmati. A late attempt by Jaber Ansari was saved again by Manu, securing the 1-1 result. Esteghlal have not yet won any game in this season, and the next week will be the last chance for Alireza Mansourian: chairman Reza Eftekhari claimed “After Tehran derby [against Persepolis] we will take a decision about the coach“. 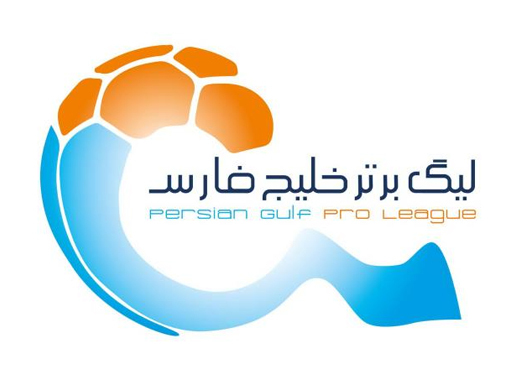 Very interesting the 4rd week of Persian Gulf Pro League 1395/96, scheduled before a 28-day break in order to train Team Melli for the upcoming qualifiers against Qatar and China. All the matches were played on 11 August, except for FC Mashhad v Foolad Khuzestan scheduled the day after. 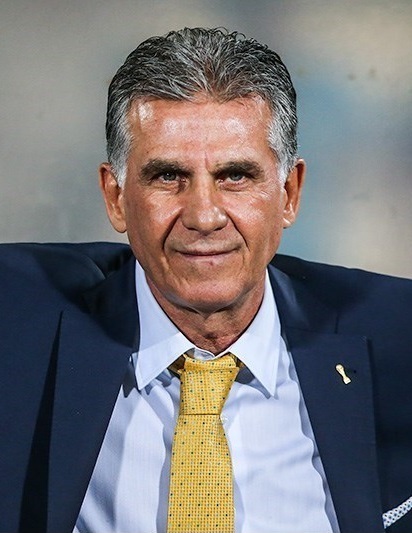 Carlos Queiroz – head coach of National football team of Iran – issued the list of call-ups before the last game. The Tabrizi derby was won by Tractorsazi thanks to a double of defender Mohammad Iranpourian, and the red card received at 43′ by rival defender Hamed Pakdel, who had just came back after a suspension; this is the first defeat for neo-promoted Mashinsazi captained by Andranik Teymourian: now Amir Ghalenoei’s guys have the best goal difference (+4). Behnam Berzaei scored a vital goal preventing Esteghlal Tehran losing against Paykan: it is not certain that Ali Reza Mansourian will seat on the Blues bench in case he will not win the next game, maybe he can benefit from the tournement break. Finally Gostaresh Foolad scored their first goal of the season with Luciano “Chimba” Pereira against Zob Ahan: in the second half, Yahya Golmohammadi – back after club suspension – subbed in Morteza Tabrizi, whose header assisted Honduran striker Jerry Bengtson to equilize. Another 1-1 draw was between Saipa and Padideh, so that both clubs are in the middle of the league standings. Again victorious Sanat Naft beating with a goal by Mohammad Shadkam Sepahan, despite the return of Ehsan Hajsafi in the Isfahani side. After three weeks without scoring, Mehdi Taremi sent the ball in the net helping Persepolis to beat Saba and remain on the top with 10 points. Great game in Ahvaz as defending champions Esteghlal Khuzestan tied 2-2 with Ali Daei’s Naft Tehran: guest team took the advantage with Iman Mob’Ali, but Sirous Pourmousavi’s boys performed a come back with Ashour and Beit Saeid, before Ghazi scored with ten minutes remaining. In the last game FC Mashhad – still commonly known as Siahjamegan – were winning with a goal by 20-year-old defender Payam Malekian, but at 87′ a ball handled by Hamid Reza Ali-Asgari inspired a penalty that Ayoub Vali scored twice, because the referee ordered him to repeat, and the match ended 1-1. Persian Gulf Pro League will restart on 9 September after Team Melli training camp in Italy and FIFA World Cup 2018 qualifiers against Qatar and China. 21 goals scored in the 3rd week of Persian Gulf Pro League 1395/96, only one tie between Saba Qom and Mashinsazi: Spanish goalkeeper Manu conceded one goal at his debut before Jalal Rafkhaei scored on penalty with ten minutes remaining. Zob Ahan found the first victory of this season beating away Foolad Khuzestan 0-2: on the Isfahani bench was sitting S. Mojtaba Hosseini instead of the head coach Yahya Golmohammadi, the latter suspended by his team due to disciplinary matters. Good news for Ali Daei, since Naft Tehran beat 3-0 Padideh thanks to a double by veteran Iman Mob’Ali and the third goal by Mohammad Ghazi. A very nervous match between FC Mashhad and Saipa, where the players did not hide their legs and the referee Ali Safaei showed 6 yellow cards: Saipa eventually won 2-0. Incredible defeat suffered at Azadi Stadium by Esteghlal Tehran, although they were winning 1-0 until 86′ when Reza Norouzi equilized for Sanat Naft, and few minutes later his teammate Baghlani scored on penalty: Ali Reza Mansourian has to take responsibility after collecting 1 point in 3 weeks. Persepolis giants won against Gostaresh Foolad with a goal by Vahid Amiri: to say the truth it seemed more a cross than an attempt, but it was enough to surprise Fernando de Jesus Ribeiro; now Branko Ivankovic selection is on the top of the league. Sepahan did not disappoint home fans and defeated 3-1 Esteghlal Khuzestan: Rahim Zahivi scored on penalty the only goal of the guest team, becoming the top scorer of the tournement. In the last match of this week, Tractorsazi collected a 3-1 victory at home: in five minutes the host scored twice and Paykan got the ball into the net with Sadeghi; Iraqi midfielder Karrar Jassim secured the win with his first goal of the season. In the 2nd week of Persian Gulf Pro League 1395/96 we find a record by Hamed Pakdel, sent off by referee Mohsen Torki after collecting 2 yellow card in only one minute! Two derbies were played, in Mashhad and in Tabriz, and both ended with tie. All teams that were defeated in the 1st week obtained points: Sepahan defeated away Naft Tehran with a penalty by Farid Behzadi Karimi; Zob Ahan and Saipa shared one point; Foolad Khuzestan were close to win at Persepolis home, but Vahid Amiri equilized 5 minutes after Abdollah Nasseri’s goal. Esteghlal Khuzestan defending champions won 2-1 against Esteghlal Tehran, thanks to a double scored by Hassan Beit Saeid: the Khuzestani striker is the top scorer with his teammate Rahim Zahivi. Goalless draw between Sanat Naft and Tractorsazi, while Paykan and Saba tied 1-1 (both goals on penalties).